If all I ever put on this blog was barns, fences, gates and animals, I could keep busy for a few years. I intend to photograph some people, one of these days, but there usually aren't any around in the early morning or late evening when I'm out photographing! I don't see many big red barns here in DC... I shall enjoy getting a glimpse at those you see! 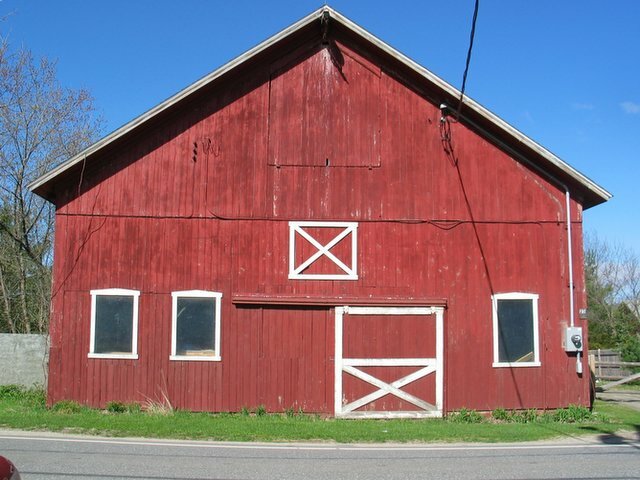 Very nice barn! Someone does good upkeep on it! 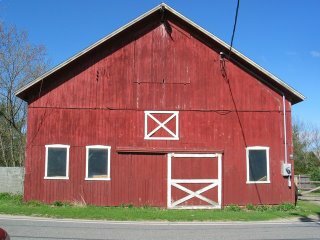 I love these red barns. I used to know why all were painted with the same red... but I don't remember any more right now! Would you happen to know it? which says, they're not always red, but the reason many are might be that the ferrous oxide that made the red paint was inexpensive!